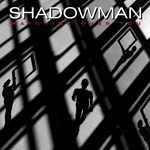 For classic British melodic rock, you need not look much farther than Shadowman and their fourth title Watching Over You. Combine elements of three great bands, FM (Steve Overland), Heartland (Steve Harris), and Thunder (Chris Childs and Harry James), and you have a solid AOR super group. Watching Over You picks up where 2008's Ghost in the Mirror left off, with distinct and entertaining, if not derivative and predictable, melodic rock. For the listener, and fan of the band and the respective members' other project, there little left for guess work. Coming to Shadowman's Watching Over You is like sitting in your favorite chair with your favorite beverage in a world at peace. Simple and comfortable. There's positive and alluring AOR with the opener Across the Universe and Whatever It Takes. There's the faster arena rock readiness of Renegades, the bit heavier Watching Over You, and the straight rock of Suzanne. Ballads abound in the traditional Cry, though it's a little long, and Heaven Waits or the heavier Stop Breaking This Heart of Mine. If anything, Shadowman is certainly consistent. There's little elaboration or cause for any eyebrow-raising gasp of 'this is something new.' However, several track do rise above the 12 track crowd including Across the Universe, Renegades, Suzanne, and Waiting for a Miracle. Perhaps the most significant feature of Watching Over You is the individual performances. Drummer Harry James and bassist Chris Childs excel throughout, magnificent on Across the Universe to name only one. Guitarist Steve Morris lights it up on quite a few track, but soars on Renegades, Suzanne, and Waiting for a Miracle. Steve Overland, well, sounds like Steve Overland on every song: raspy with a bit of that Joe Cocker tiredness in his voice. Bottom line: Watching Over You is solid and entertaining Shadowman AOR melodic rock. I wouldn't expect anything less. Predictable? Yes. Innovative? Doubtful. Prime British melodic rock. Absolutely. Coming to Shadowman's Watching Over You is like sitting in your favorite chair with your favorite beverage in a world at peace. Simple and comfortable.